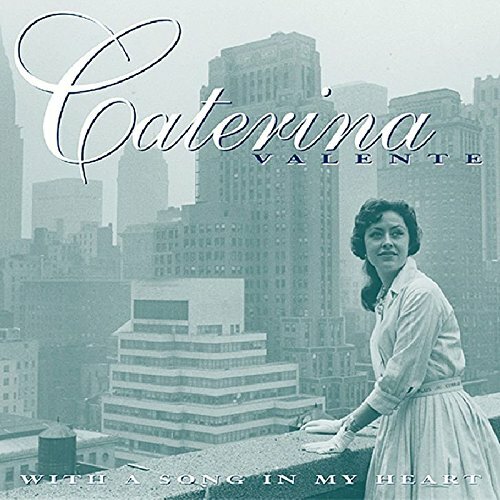 Our 8-CD-box 'Stairway To The Stars' traced Caterina Valente's route to the top from 1954-1958. Our new box, 'With A Song In My Heart', contains her English-language singles and albums recorded for Decca, London and RCA Victor 1959-1973. Note, though, that the LPs are reissued in full, even if an album contains an occasional non-English recording. The set includes many previously unissued songs. If you have any questions about this product by Valente, Caterina, contact us by completing and submitting the form below. If you are looking for a specif part number, please include it with your message.